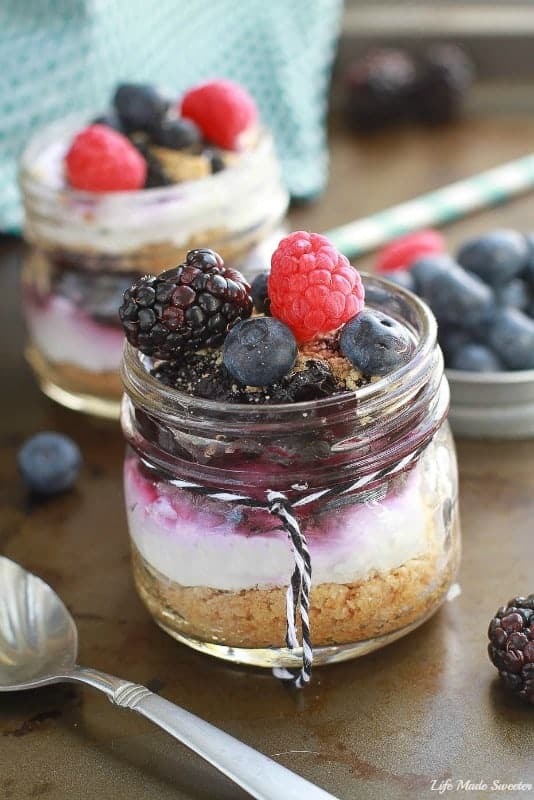 No-Bake Mixed Berry Cheesecake Parfaits are the perfect easy make-ahead dessert for any summer celebration including the Fourth of July. Best of all, it’s so simple to make with a triple berry topping, low-fat Greek yogurt along with delicious layers of graham cracker crumbs. I’m just popping in quickly today to share a super easy and last minute dessert that you can make if you’re still thinking of dessert ideas that are red, white and blue. 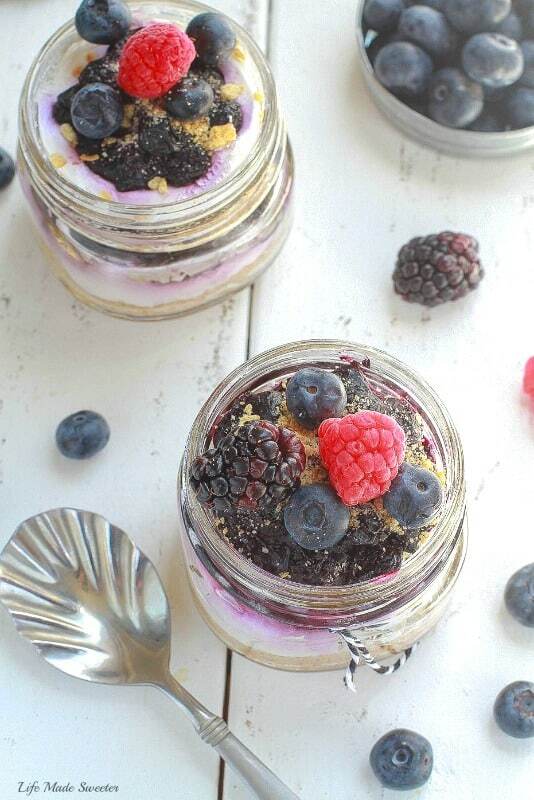 These No-Bake Mixed Berry Cheesecake Parfaits make a tasty and festive treat that you can whip up without having to turn on your oven in the heat. I love how easy they are to transport in these little mason jars. You can also make them in little glass cups or wine glasses if you prefer. They start off with a crushed graham cracker layer followed by a spoonful of lightened up cream cheese/Greek yogurt filling and a layer of homemade mixed berry sauce. Finally, top them off with your favorite berries. I made some with only blueberries while the others I added a raspberry along with a blackberry just to change things up and make them more festive. 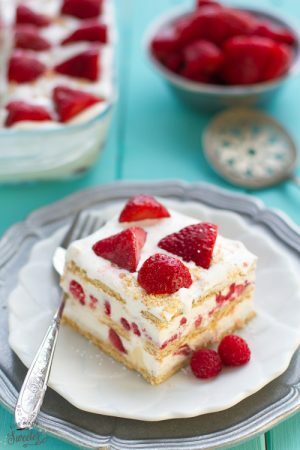 They make the perfect make-ahead dessert for the Fourth of July or any summer celebration. Just keep them in the fridge and grab a spoon when you’re ready to dig in! 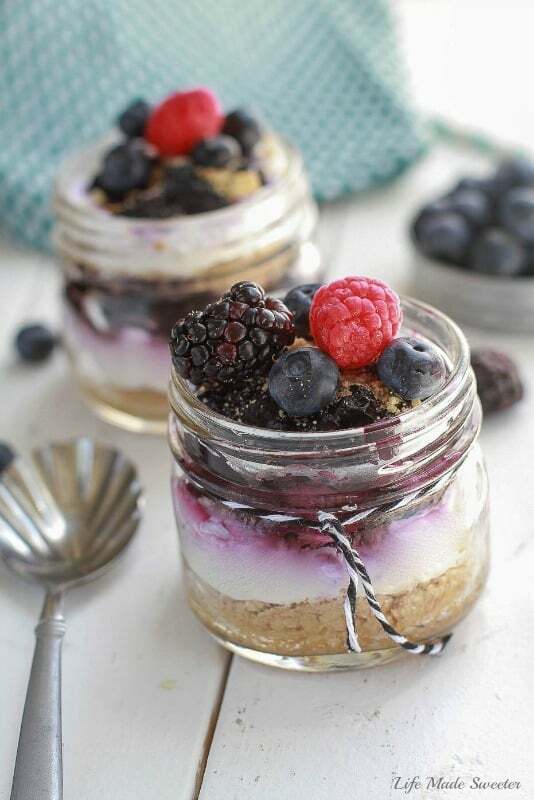 No-Bake Mixed Berry Cheesecake Parfaits are the perfect easy make-ahead dessert for any summer celebration including the Fourth of July. 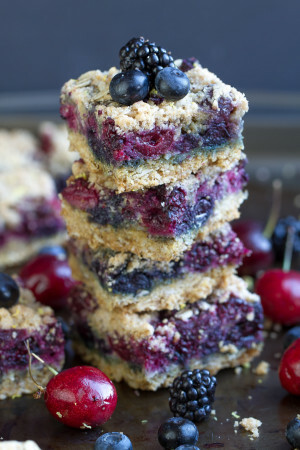 Best of all, it's so simple to make with a triple berry topping, low-fat Greek yogurt along with delicious layers of graham cracker crumbs. For the mixed berry sauce: Heat all of the sauce ingredients in a small pot over medium heat. Allow to boil and then mash with a fork. Turn the heat down to medium. Simmer sauce on medium low until thickened. Remove from heat and set aside to cool completely before layering in parfaits. For the Cheesecake Layer: In a medium sized bowl beat the softened cream cheese for about a minute until smooth and creamy. Mix in half of the Greek yogurt until smooth then add the remaining half, along with the vanilla extract and heavy cream. Continue to mix until smooth. Slowly add the powdered sugar until everything is well combined. 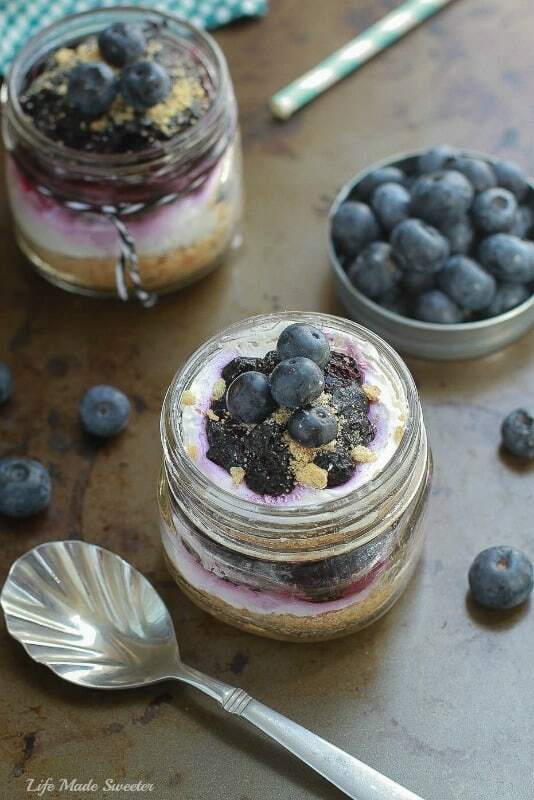 To Assemble: Assemble the parfaits by layering 1 to 2 tablespoons of the graham cracker crumbs on the bottom of each serving glass or jar, then the cheesecake mixture, and mixed berry sauce in alternating even layers. Top with fresh mixed berries of your choice. Store in refrigerator allowing to set for at least 30 minutes.